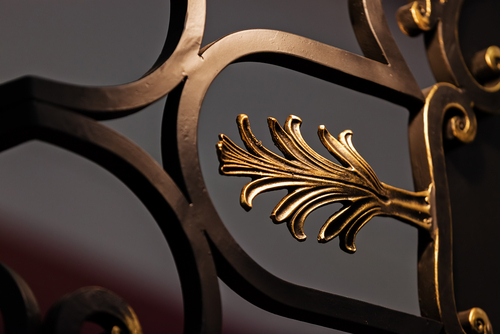 Why Choose Us As Your Wrought Iron Gate Supplier? In Singapore, wrong Iron Gate is the main entry gate for most of the HDB houses and condos. This kind of gate is favoured by many people in Singapore because of its strength, Variety in designs and multiple color options. Although it can get rust on it due to environmental conditions, but if you take good care of the gate, then you can simply extend the life of this gate for a very long time and you can get good look as well with it. But only good care of the wrought iron gate will not do the trick unless you choose the right suppliers for this. 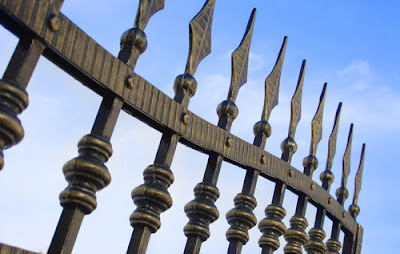 For better outcome, you can always choose us for the supplies of wrought iron gate. But you may also wonder why to choose us as your wrought iron gate supplier and we are sharing its reasons below with you. Experience: We have been in this industry since a very long time. So, we naturally have a good amount of experience in the field or installing wrought iron gate for our customers. In all these years, we have installed these gates for a lot of our customers and we installed multiple types of gates for our clients. Also, we installed these different kinds of gates in almost every type of house as well. That experience helps us do the work for you in the best possible manner and we also make sure it get installed properly in every house. Cost: We do understand that cost could be a big factor in the selection of your wrought iron gate supplier. Also, many suppliers in Singapore charge a lot of money for same and you may prefer not to choose them in any situation. But we consider ourselves as an exception in this field. We offer highly cost-effective services to all of our clients and we make sure that it is competitive in the market. Here, we are not going to give a false commitment about the cheapest cost because we never like to compromise with quality. And that is why we try to keep the standard high yet we reduce the cost as much as possible. Our working method: Installing wrought iron gate is like passion for us and we can notice the same kind of passion and enthusiasm in our team as well. When you give the work to us for installing a wrought iron gate in your house, then we will consider that as our own project and we will make sure you get only the best result. We will try to finish the installation work without any delay, or without having any compromise with the quality of work. 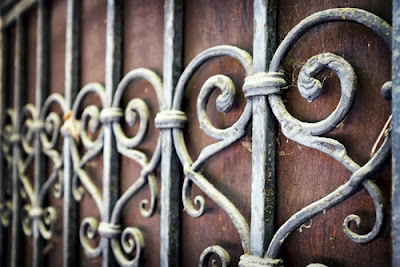 This is defiantly a quality that can recommend us as the best supplier of wrought iron in Singapore and you can choose us because of that quality. Best quality material: We never compromise the quality of work in any condition. We prefer not to do the work for you, instead of giving any poor quality material to you. When you choose us then we give you suggestions that are the best for you, we provide quality material to you and if you ask us to use a material that is not strong enough or safe for you or your family, then we simply deny working on those conditions. We agree you can call this as a non-supportive method and many times we do lose our business as well because of this issue. However, we never compromise with quality and that is what makes us special and better than many of our competitors. Licenses and accreditation: In Singapore, supplier for wrought iron gate will need to have specific licenses and approvals from authorities and agencies. We do understand this and we make sure we stay updated with all kind of licenses and approvals. We make sure, all the licenses and approvals that we have come from proper authorities and it remain updated as well. This accreditation and approvals also prove that we are good enough to do the installation and supplies of wrought iron gate for your hdb home or condos. And if you have an independent house, then we can do the installation for you at your independent house as well. Insurances: Installing wrought iron gate is not a safe thing and sometime it can cause an injury as well. According to law in Singapore, if a worker gets injured at your place while doing any kind of work, then you will have to take all the responsibilities unless that worker is insured against such problems. Although, we use all kind of security measures, but we also prefer to keep our customer away from any kind of troubles. That is why, we make sure all of our team members are completely insured and give no problem to you. So, if one of our employees gets any kind of injury during the installation work, then we make sure you don’t have to hold any responsibility in any manner. This freedom from any kind of trouble is certainly a quality that can encourage you to choose us as your wrought iron gate supplier in Singapore. After sales support: Although you will never need to seek for any kind of after sales support from us once installation is done from our side. Yet, if you need any kind of support or you get any doubt in your mind after the installation of wrought iron gate is completed, then you can make a call to us. When you do this, then our expert will understand your problem carefully if you have only questions, we will give solution to you on phone and if that is not the case, our expert will not mind visiting your house as well. After checking your issue, he will solve the problem and we will make sure you are satisfied with this result. In other words we can say, we provide amazing after sales support to all of our customers that make us much better than many of our competitors.